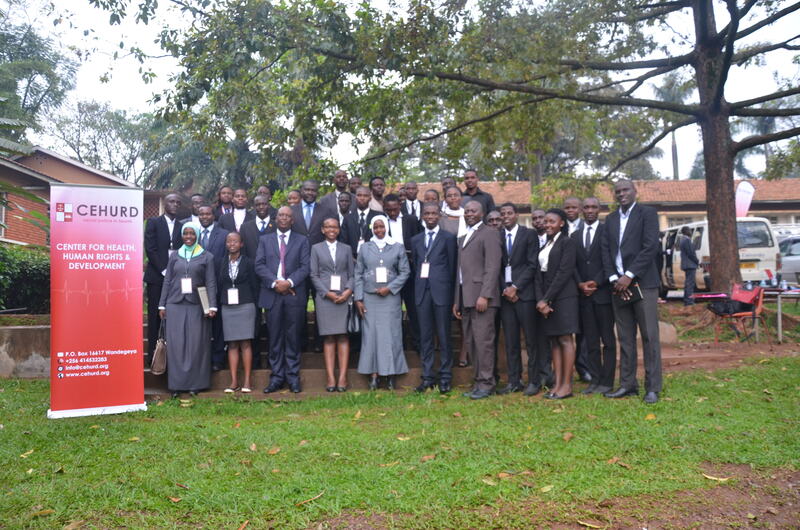 > News > Kampala International University takes trophy for the moot competition 2015. Kampala International University takes trophy for the moot competition 2015. After months of preparation, the day had geared up and the 6 university teams were set to compete in the biggest and most sought after law students competition in Uganda. 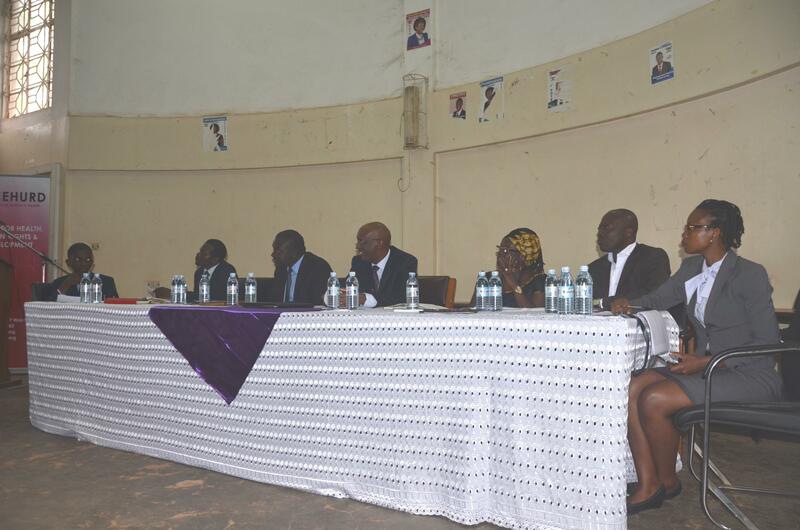 This years’ National Inter-University Constitutional Law Moot was held at Makerere University School of law for a full day on Friday October 30, 2015. The teams from the different universities, who believed were the cream of the cream for the competition, were already at the venue by 8:30 am ready to prove prowess in legal knowledge and shortly joined by over 14 judges with the lead Judge being Justice Kenneth Kakuru. The teams after the competition The Competition involved only Ugandan Universities that were accredited to teach the Law and each team consisted of three students.”I would like to congratulate Kampala International University that won the overall price as well as Best Memorial, Makerere University that came second, Nkumba University, Uganda Christian University, Bishop Stuart University and Islamic University in Uganda upon competing in the Moot. mentioned Mr.Zeere James, a legal officer with Centre for Health, Human Rights and Development, the memorials submitted were of exceptional quality and the judges confessed the difficulty they had when selecting the winner.” He continued. CEHURD has taken lead in building capacities of lawyers in the country and especially encouraged them to embrace taking strategic litigation and probono services to communities who need them in plenty, Uganda being a low developed nation with majority of the people living below the poverty line, there is a need for lawyers to give free legal aid. “It was evident that submissions, arguments particularly oral submissions revealed that the quality of legal training being received by students in Uganda today has significantly improved and the students demonstrated immense knowledge and skill under pressure, while interacting with the very complex problem that was presented to them.” mentioned Mr.Kabanda David the Programmes coordinator at CEHURD. One Senyonga Simon from Makerere University emerged the Best oralist and as organisational culture, on top of the general prize, he received an entitlement to a two month internship with the Center for Health Human Rights and Development (CEHURD), to further grow his career in the field. Mr. Kabanda promised that there will be a ( 3rd) National Inter-University Constitutional Law Moot Court Competition next year. With such competitions, students are exposed to the litigation of aspects relating to access to health services and commodities in the context of the right to health, the freedom to access information and the right to participate within the framework of the Constitution of the Republic of Uganda.and the organisers noted that each submission was scored on the basis of quality of analysis of the issues involved, persuasiveness of the arguments, logic and reasoning, writing, knowledge of the facts, application of the Law and extent of the research.